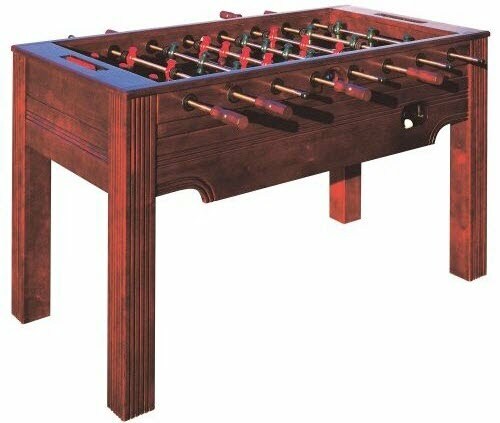 The Halex Montery foosball table is a furniture style table with Oak wood vaneer. This table is molded and routed with unique table etchings to give it a higher end look and design. Though this table has a classy look, it lacks some quality features that competition style tables have. If you are more worried about becoming a professional foosball player than how the table looks in your game room, we suggest looking into the Tornado foosball table models rather than the Montery foosball table.